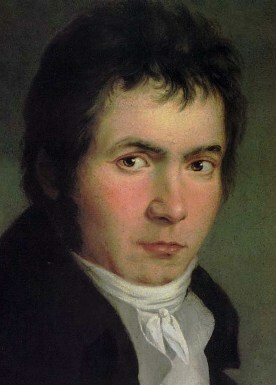 Horneman portrait 1803 - Beethoven gave this as a gift to his friend Stephen von Breuning. That's with 30 minutes and some free photo software. Surely Madame Tussaud could come up with an incredible likeness! From 1814 here's an engraving by Hofel from a drawing by Letronne - which B also gave out to his friends. 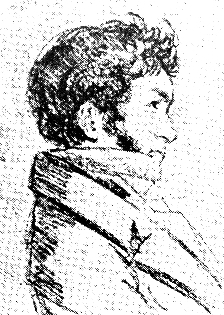 This one above is from 1818, by Schimon. It's a portrait which I personally can't get behind, but Schindler (Beethoven's friend/secretary) said was quite full of characteristic truth. 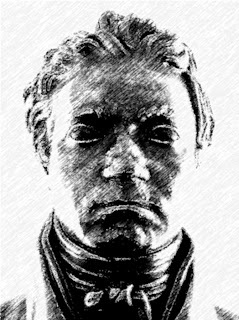 The Stieler 1819-20 portrait is also praised by Schindler (Schindler reports that B looked very different from the previous year due to an illness). Nonetheless B. sat 3 times for this porttrait. 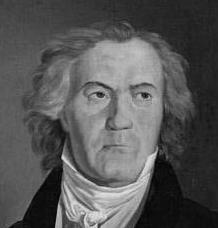 Finally here's the Waldmuller portrait of 1823 - considered by Schindler to be "off" - yet Waldmuller had the best reputation of all artists to portray B. 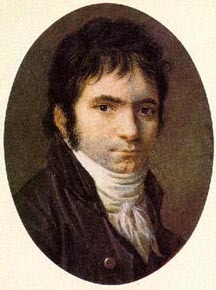 It's amazing how Beethoven looks so different from painting to painting (there are a dozen more which are considered "inaccurate"). In the final analysis, the Klein/Streicher bust made from an actual mold of Beethoven's face has to be the most objective and is a real favorite of mine. This is a topic which has always fascinated me also-- as practically everything about Beethoven has. 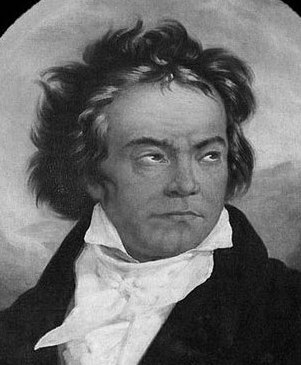 In the book "Memories of Beethoven" by Gerhard von Breuning, referring to the Stieler portrait, he writes, "My father's opinion was that although none of Beethoven's portraits was a perfect likeness, this one resembled him more than any of the other recent ones, especially if the small details are disregarded and it is viewed through the window from the back, so that its sharp outlines are softened. Beethoven was much pleased by this observation." 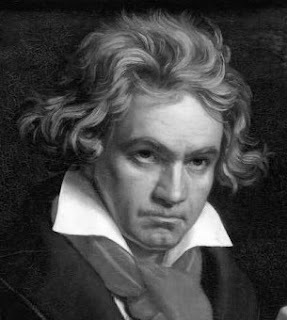 I read somewhere that photography was not first invented until 15 years after Beethoven's death. How sad it could not have been developed two decades earlier. Hi Mary - I just read that book recently, maybe that gave me the idea for this post. I used the picture in there of Beethoven's last aprtment in the post from Tuesday. The book I used most for choosing the pics today are HC Robbins' "Documentary Study". 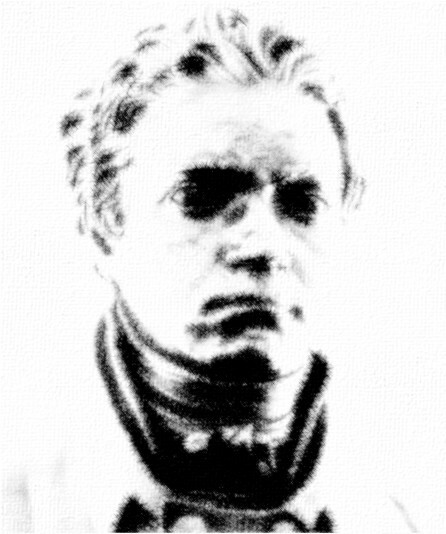 The crayon study, from life, by August von Kloeber, done in 1818, was well-liked by the man himself. He even commented about the natural, realistic appearance of his hair in the sketch. It's on the cover of The Beethoven Compendium (at least the paperback edition I have) but oddly not included in the section about B's portraits. That sketch, and another more detailed drawing by the same artist, are my favorites of B from his middle years. If they are superimposed over photos of the life mask by Klein, they match up very closely. I agree with you about the Schimon portrait, which misses the mark. But so does the Waldmueller---maybe partly because B did not like the guy and allowed only a couple sittings, and the artist had to do most of the work from memory. The only thing I do not like about the Klein bust is the fake-looking hair, the fake eyes, and the very long neck! 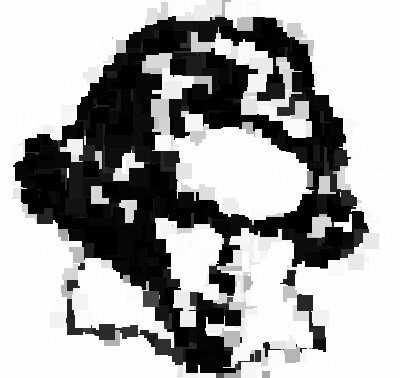 I thought my digital image, based on the life mask (used in the online Schulz/Peanuts exhibit) was pretty accurate---but I hope to do a better one some day that includes his remarkable, lively eyes! He was so close to the era of early photography---the pity is that he did not live longer. There is a famous photograph (Daguerrotype) portrait of Alexander von Humboldt, a year older than B, (born in 1769) taken when he was in his 70's. When I look at it I can easily imagine Beethoven sitting there (but leaning on a piano) with his snowy-white big hair! I've got the same edition of the Beethoven Compendium and I've been using it for a source for some of my recent posts (1 more to come from that great book). I did not know you based your fine portrait on the life mask Gwen - great idea! You have a good point about the hair, I never thought about that...this was before later artists not afraid of making unflattering portraits (in order to capture realism, Giacometti comes to mind) - tho B always complained that his outfits in portraits were TOO flattering! Thanks to all above for your information on images of Beethoven. I first heard his music in the early 1950'es when a highschool friend of mine played a record of the 6th Symphony. I liked it. Only some years later did I come to sense "feelings which can't easly be expressed in mere words". 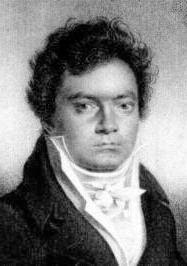 As time went I was able to listen to many of Beethoven's works and read about his life. He once said that about his work 'My music comes from the heart to the heart'. With in me here is that heart.